Our orthodontic office is pleased to offer a variety of Rancho Cucamonga braces, including revolutionary Empower self-ligating braces from American Orthodontics. Self-ligating braces use a slide mechanism to hold the archwire, instead of elastic ties, which reduces the amount of pressure exerted on the teeth. This allows the teeth to move more freely, quickly, and comfortably than with traditional braces. Thanks to these innovative new braces, achieving your perfect smile can be faster and easier than you ever thought possible! Great results in less time – Depending on your case, this may mean a savings of many months. After analyzing your specific needs, we will be able to provide you with a treatment plan that will have you smiling soon! Freedom of movement – Faster results with gentler forces. Fewer adjustments – As a result, your appointments will be faster and fewer in number. Less discomfort – Self-ligating braces are small, comfortable, and easy to keep clean. 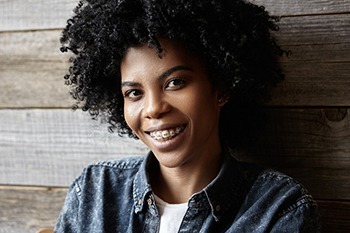 While treatment time can vary, clinical studies demonstrate that Empower self-ligating braces work up to six months faster than traditional metal braces. And while invisible aligners can be effective at straightening some crooked teeth, not everyone is a candidate. In contrast, Empower self-ligating braces provide excellent, lasting results in most cases. Also, there’s no need to worry about lost, misplaced or forgotten clear aligners, so you get in and out of treatment quickly. Schedule your complimentary, no-obligation Orthodontics Consultation with our expert orthodontist to learn how Empower self-ligating braces can straighten your teeth in less time! Call 909.945.0024 or click here to get started on your healthiest smile today!